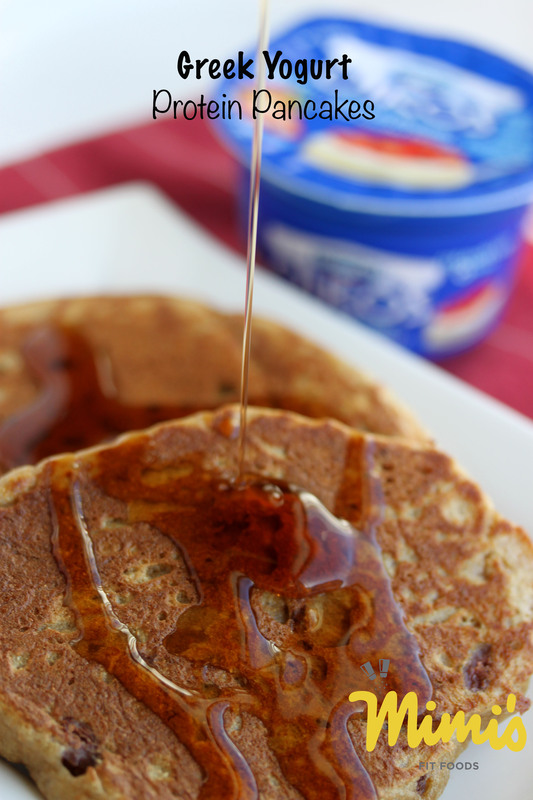 I spotted this fabulous idea to make pancakes with Greek Yogurt and I had to try it out! I mean, it’s a super duper easy recipe and I’m a sucker for super duper easy . . . especially if it’s healthy too! Besides, Greek Yogurt is a staple at my house so it just made sense that I would give these pancakes a try. All you need is one container (5.3 – 6 ounce) of Greek Yogurt, an egg, a smidge of flour, and baking soda. They’re good people. They truly are. They are good in a different-kind-of way though. These aren’t going to be your traditional fluffy, buttermilk pancake, but they are definitely good in other ways. They are a bit more dense, but are probably the most filling pancakes I have ever made. You can “flavor” them any way you choose by just choosing a flavor of Greek Yogurt that you love. These ones here were made with strawberry yogurt. You can bet-your-bottom-dollar that I’ll be trying several more flavors of yogurt as the days and weeks go on. They are not overly sweet, which I love! I also love that there’s no added sugar to the recipe either. We were able to get enough sweetness to balance these out by topping our pancakes with sugar-free maple syrup. Four ingredients. That’s it! Easy peasy! You’ll find the batter to be extra thick . . . like a thick cake batter. To ensure that the pancakes cook all the way through I suggest slightly flattening them out once you have them on the skillet to cook. I used my cookie scoop to get an even number of pancakes (I got four by using about 2 1/2 scoops per pancake), but you can also just eyeball it too. Have fun experimenting with these. I hope you’ll love having an easy, protein-filled breakfast option! Open the yogurt container and stir the yogurt until it’s smooth and creamy. Crack an egg over the yogurt and stir to combine (I often do this in a small bowl). Spoon the batter onto a sprayed griddle or pan heated to medium. Flip the pancakes when they start to bubble a bit on the surface. Cook until golden brown on both sides and serve with sugar-free syrup, fruit, etc! Enjoy! 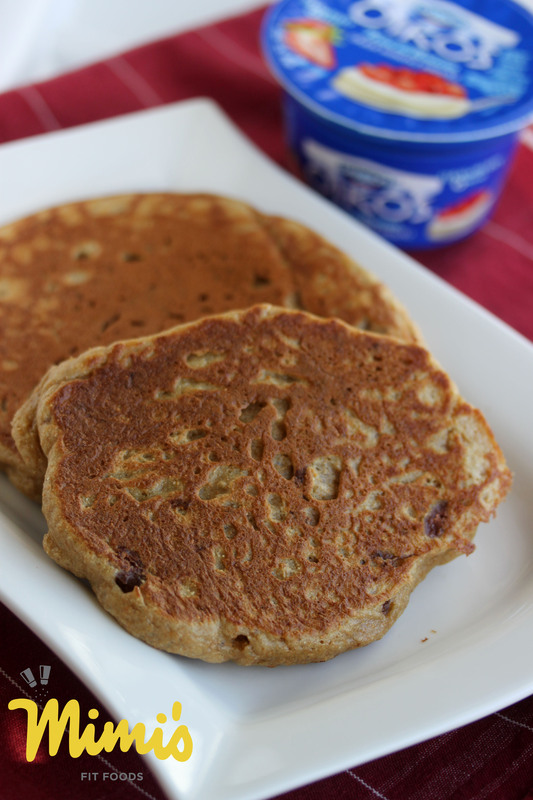 Love these pancakes and I can actually memorize this recipe! Plus, I like that it only makes enough to feed my family, or me twice+.